Through our Lifestyle Flex Program, you may now order a Signature Collection cabinet fitted with a Lifestyle Collection door for better integration into a Lifestyle kitchen. It offers a flexible alternative within the Lifestyle Collection to enjoy more custom features than previously provided, basically providing a semi-custom kitchen at stock pricing. For more information please contact your nearest Haas dealer. 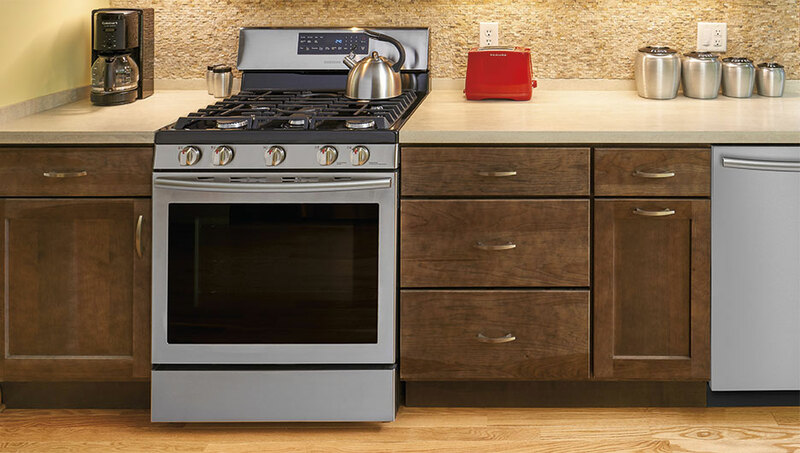 Signature Series used in a Revere Hickory kitchen.